The United States Soccer Federation unveiled a series of safety initiatives Monday aimed at addressing head injuries in the sport, including a policy that sets strict limits on youth players heading the ball. 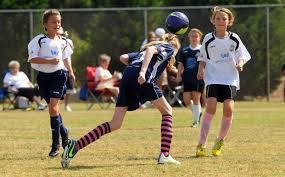 The new guidelines, which resolve a proposed class-action lawsuit filed against U.S. Soccer and others last year, will prohibit players age 10 and younger from heading the ball and will reduce headers in practice for those from age 11 to 13. The regulations will be mandatory for U.S. Soccer youth national teams and academies, including Major League Soccer youth club teams, but the rules will be only recommendations for other soccer associations and development programs that are not under U.S. Soccer control. “What we’re establishing is creating parameters and guidelines with regards to the amount of exposure” to potential head injuries, George Chiampas, U.S. Soccer’s chief medical officer, said in a conference call with reporters. He added that the science on concussions and youth soccer was still evolving, and so would U.S. Soccer’s policies. Among the other changes will be modifications to substitution rules that are meant to better serve players suspected of having sustained concussions. The specifics of the new policy proposals on substitutions will be announced in the next 30 days, according to U.S. Soccer. Currently, international rules allow for only three substitutions per game at the senior level, with no arrangement in place for a temporary substitution so a player with a head injury can be examined properly. Increasing awareness of head injuries, especially after several high-profile cases in Europe and during the 2014 World Cup, have led some to press for rules changes to allow for concussion treatment, but so far there has been little interest in soccer leadership to alter the rules of the game. U.S. Soccer’s initiative calls for more education for players, parents, coaches and referees, and for more uniform practices for handling youth concussions, and its officials said they hoped those efforts could lead to broader acceptance of the rules about headers by children and the treatment of head injuries. Monday’s announcement resolved a legal case that began in August 2014, when a group of parents and players filed a class-action lawsuit in United States District Court in California charging FIFA, U.S. Soccer and the American Youth Soccer Organization with negligence in treating and monitoring head injuries. The suit targeted the Laws of the Game, which govern the sport internationally, as well as several American organizations. The suit sought no financial damages, only rules changes, as FIFA joined other sports governing bodies like the N.F.L., the N.H.L. and the N.C.A.A. in facing a lawsuit over head injuries. A judge ruled in the summer that the case against FIFA had no standing, but that an amended complaint could be filed against U.S. Soccer. The announcement of Monday’s initiatives will serve as a resolution in the case, and Steve Berman, the lawyer who brought the case, agreed not to appeal the dismissal. “With the development of the youth concussion initiative by U.S. Soccer and its youth members, we feel we have accomplished our primary goal and, therefore, do not see any need to continue the pursuit of the litigation,” Berman said in a statement. According to the original filing in the case, nearly 50,000 high school soccer players sustained concussions in 2010 — more players than in baseball, basketball, softball and wrestling combined.